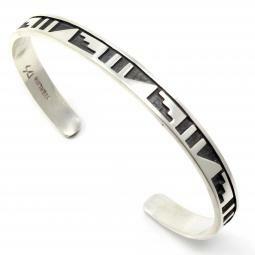 Sorry, we are currently sold out of 'Silver Hopi Bracelet - Clouds & Water'. Please check back later. 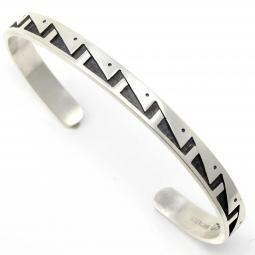 Beautifully done bracelet by Hopi artist Darren Seweyestewa. 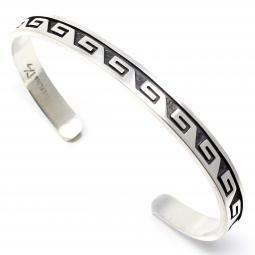 This bracelet features the clouds & water design and should accommodate a wrist of 6.5 to 7.25 inches in circumference.